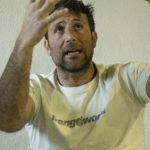 We talk to PK about unclimbed slopes, Tenzing Sherpa, mountaineering virtues, family, and changing times in Himalaya. 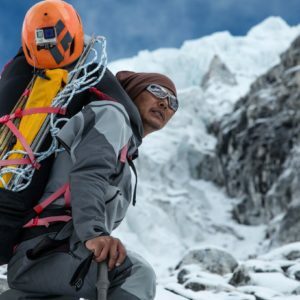 PK, aka Pasang Kaji Sherpa, like most climbing Sherpas began his career as a porter and climbed his way up the ladder. 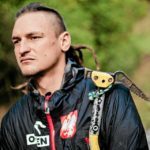 Today he’s got 4 Everest summits under his belt, runs a restaurant and climbing shop in Kathmandu, and… stars in a Discovery Channel TV show. It’s been a fast ascent lately for the once impoverished runner. 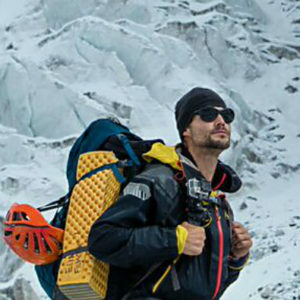 In 2013 PK worked with Elia Saikaly on a reality TV series on Everest called ‘On the Top’ which earned a CINE Golden Eagle award. Next came the Google Street View project in 2014 and UnderArmour’s ‘Mission 14’ project in 2015. This past winter PK was stationed in Syria working with the UN while assisting the Nepali military. A father of two, like many others in his community, as the youngest son PK takes care also of his parents and extended family. 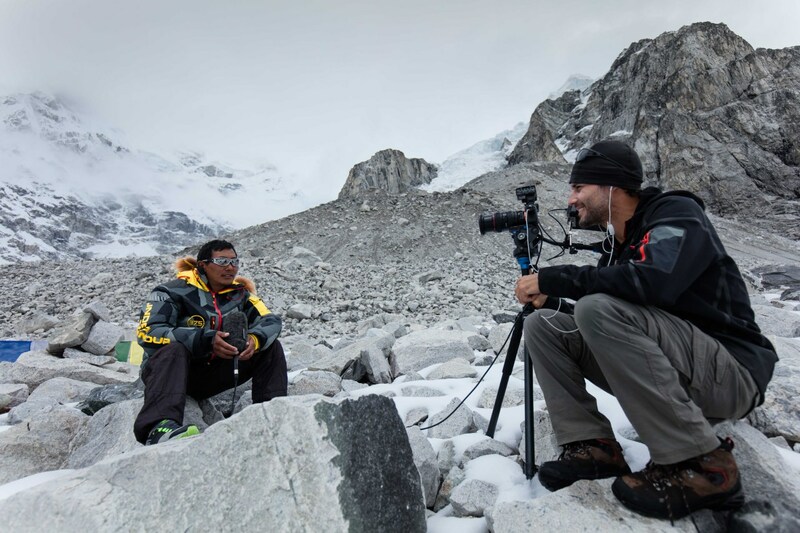 We caught up with Pasang Kaji Sherpa shortly before the duo’s Tenzing attempt for a chat about the ongoing climb, but also about Tenzing Sherpa and changing times in Himalaya mountaineering. 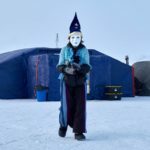 Pythom: We don’t know much about you – what’s your story and how did you get to this point in your life? PK: My career started in 1998 as trekking porter. At 13 years old I was carrying up to 40 kg on my back, which wasn’t easy. 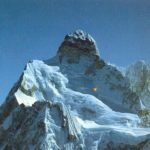 At age 22 I finally got an opportunity to climb Island Peak. Going up was easy enough but descend was hard. 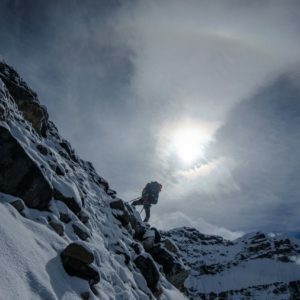 I felt I needed more training and started climbing many 6000m peaks in the Himalayas. In 2007, I got the opportunity to climb Mount Everest from the North side. 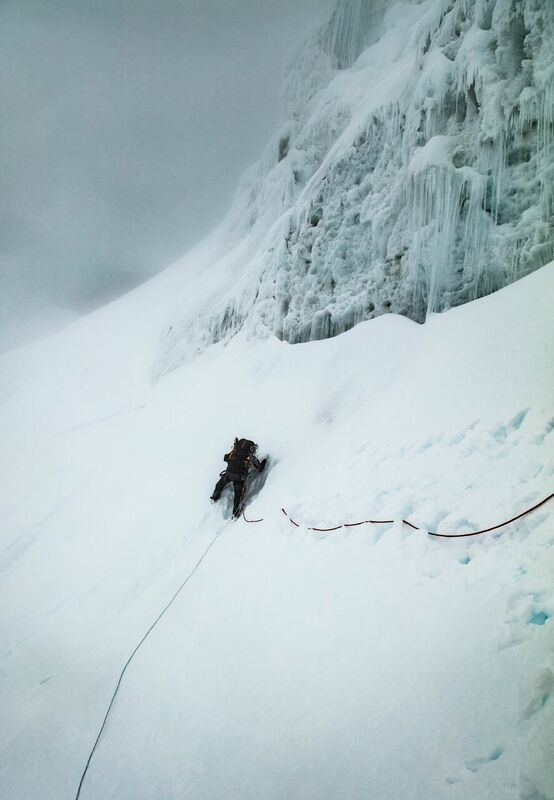 We got to 8700m and had to bring down the remains of a dead Japanese climber. It was very difficult. 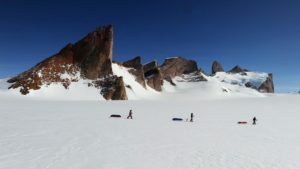 I knew I needed more training still so I went on more than 30 climbing expeditions: To 6000m, 7000m and 8000m mountains such as Mt Everest, Manaslu North and South sides, Cho Oyu and more. It took 10 years but in 2011/2012, I finally got Mountain Guide certified. Today I have all IFMGA/UIGAM/NNMGA certifications. 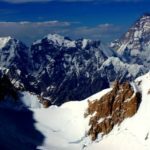 Pythom: What got you into climbing – work opportunity or the adventure of it? PK: It’s my passion as well as my job. 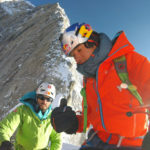 Pythom: Western commercial climbing outfits complain that Sherpa are increasingly taking over their business, any comments on that? 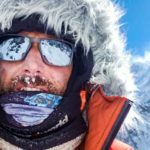 PK: This is true, but Sherpas are not the only ones. We have more than 100 ethnic groups in my country and many are in the trekking and climbing business. In my opinion it’s important they give clients good facilities, but not poor management. There must be no risk for the customer. 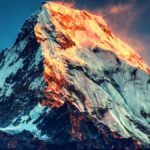 Pythom: If you didn’t climb for a living, what would be your top choice career? PK: I would run my own business. Pythom: How did you hook up with Elia? PK: I met Elia working on a reality TV show with Arabs the first time. I had never been working with cameras before and didn’t know how to manage the equipment. Elia taught me, we made the summit, and have been working together every year since. Google, UnderArmour and National Geographic Middle East. 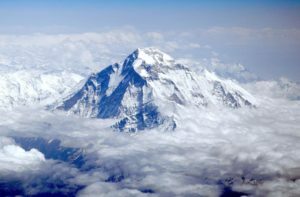 Pythom: What gave you the idea to climb the Hillary/Tenzing peaks? PK: Elia did. We had just started our Everest climb in 2015 when he told me, “PK, I have an idea, do you want to join Gabriel Filippi and I to climb two newly named peaks? I was very excited and said of course! 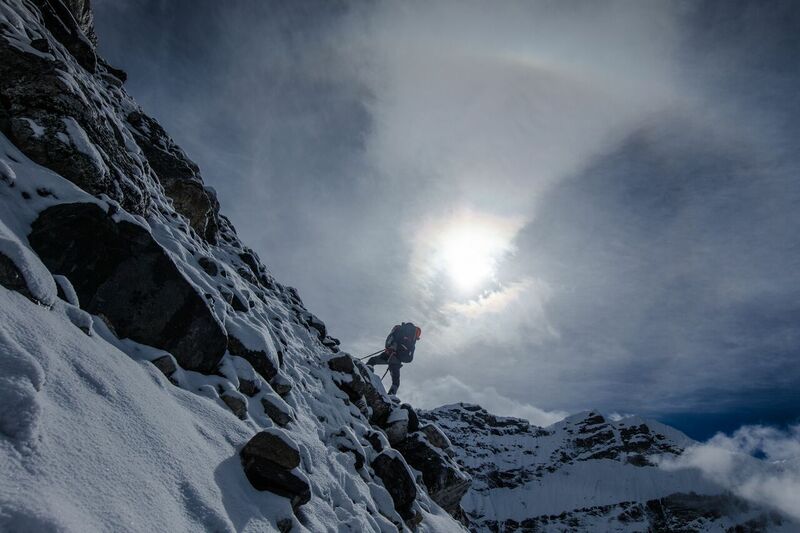 To attempt Hillary/Tenzing peaks is a big honor for me as a Sherpa. 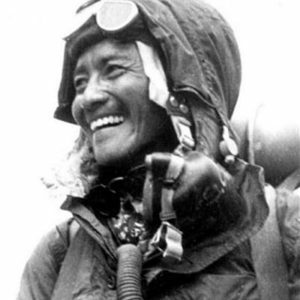 Pythom: Tenzing was a much more experienced climber than Hillary when they scaled Everest. Still he later wrote a letter stating Hillary was first to step on top. Do you Sherpa ever discuss why that letter was written and how do you feel about it? PK: I feel proud of him as a Sherpa. We Sherpa people always show respect to clients. Tenzing wrote this letter to show respect to the British team. 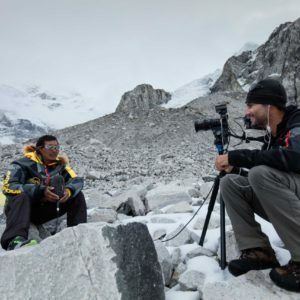 For Sherpas and for the entire Nepalese climbing community, he is our hero. He brought lots of change to Nepal and the Sherpa community, including defining and recognizing our Sherpa name. 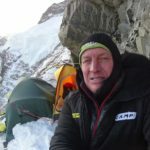 Pythom: During my days (15 years ago) people would be ashamed to even consider using oxygen on other peaks than Everest, and few lied about the summit. Now supplementary oxygen has spread to every 8000+ peak and cheating is widespread. 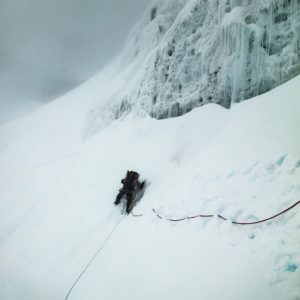 (Either climbers don’t bother to go all the way or their guides tell them they are on top so they can go home.) How do you feel about that? PK: Unfortunately, the entire climbing community suffers from these actions and mistakes. It makes me very sad. Pythom: Are you guiding Elia on this ascent? 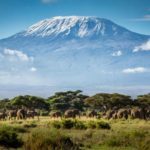 PK: We are equal team on the mountain. I am guiding him at times and other times he is guiding me. We work together for filming too. 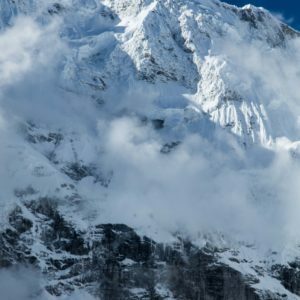 Pythom: If you got a sponsorship to climb any peak in the world (without clients) – what would it be and who would you climb with? 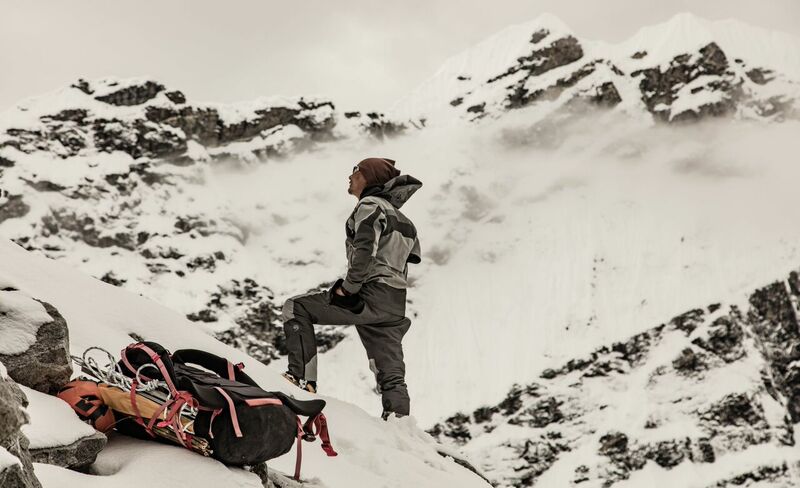 PK: If I got sponsorship to climb anything in the world without clients I would choose K2. For that I would need a climbing partner. I would choose Elia because we have worked together for a long time and trust each other. Pythom: You two did a difficult rescue of Gab the other week. What’s the plan if you or Elia get hurt? PK: My nephew Kusang is here at basecamp helping with loading ABC. 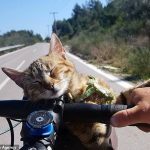 He will help if there is an accident. 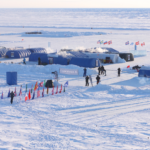 We have GPS, avalanche beacons and safety plans if something happens. Pythom: What’s the biggest technical difficulty ahead? How long will you be gone approximately, is this alpine style and how much load will you carry? 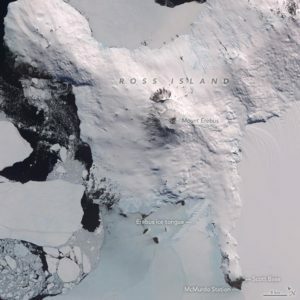 PK: The first plan is to make a route to camp 1. Then to pass the ice fall. Climb to Hillary ridge and hopefully summit. We have a lot to carry and will make multiple loads. Pythom: Your biggest worry right now? PK: Finding a way to get to summit and safely back home. Pythom: How do you explain the risk to your family? PK: My family understands my job and the risks involved. My parents ask: why you are spending and going there? Normal people go to earn money and you spend to be on a special project. They don’t understand all of the project, but one day they will. Pythom: Would you advice your kids to follow in your footsteps? PK: I don’t advise my children to do the same job as me. They should follow their own interest and dreams. I don’t follow in my fathers footsteps and don’t expect my children to follow in mine. They should do what they love. Pythom: I asked Elia about Facebook. I’d like to ask you a similar question – information overload is becoming a problem in the west: where do you get your news and how much time do you spend online (including on your phone)? Is people spending more time online than in real life (with real friends) a problem in your world as well? PK: I use radio and TV for news back home in the city, as well as internet. People in Nepal spend increasingly more time on the Internet and it’s becoming a problem. At the moment I don’t have any connection in the mountains. I am not moving to Canada, but if I get the opportunity I will definitely go to visit. 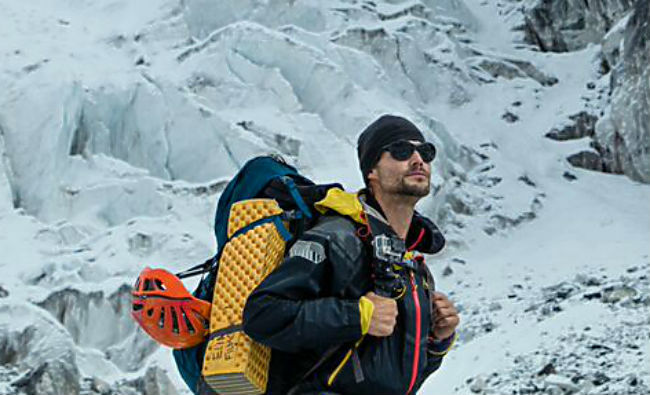 Unclimbed is an 8-part web series and 1hr broadcast on Discovery. Watch episode 1 for more background on the team. 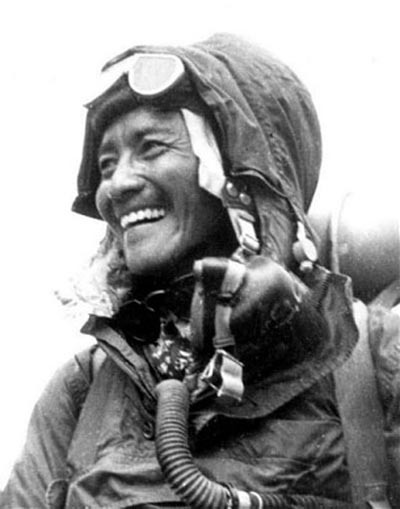 Tenzing Norgay. PK: "Tenzing wrote this letter to show respect to the British team. 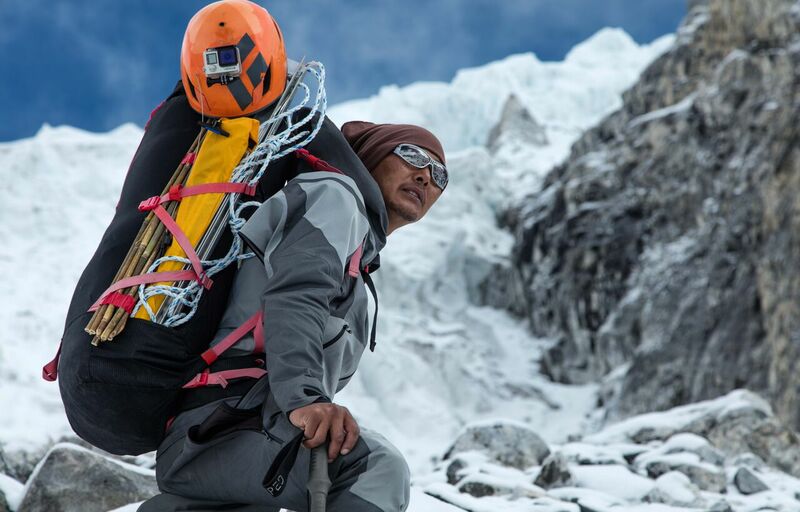 For Sherpas and for the entire Nepalese climbing community he is our hero." 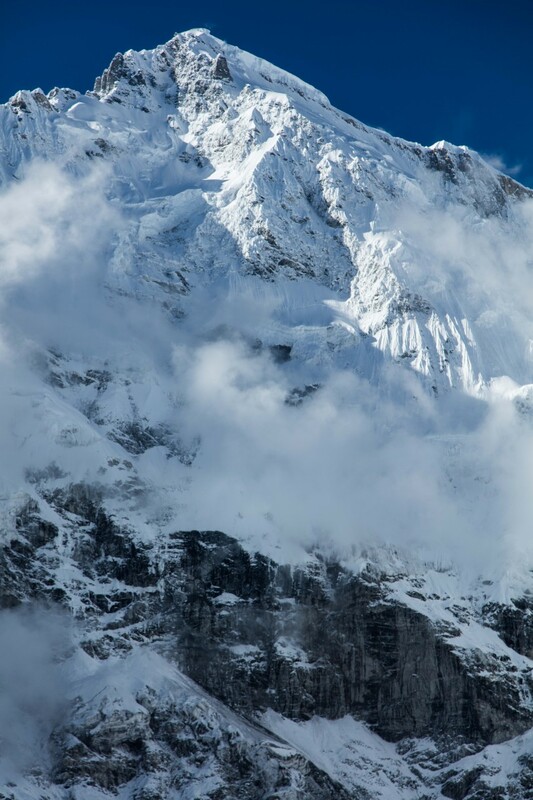 Tenzing (7916m). Unclimbed. Source:Elia Saikaly. "I don't follow in my father's footsteps and don't expect my children to follow in mine. They should do what they love."